[post_ads]Keita's response to the burgeoning security crisis was the big campaign issue, with opposition candidates rounding on him for alleged incompetence or indifference. He called on "all Malians to rise up... We will not accept the dictatorship of fraud" -- a verbal broadside that triggered a UN appeal for calm. However, observer missions sent by the European Union and the African Union (AU) have issued provisional reports saying the election was not badly impaired. "Our observers did not see fraud but irregularities," EU mission chief Cecile Kyenge said. The AU said voting was conducted "in acceptable conditions." 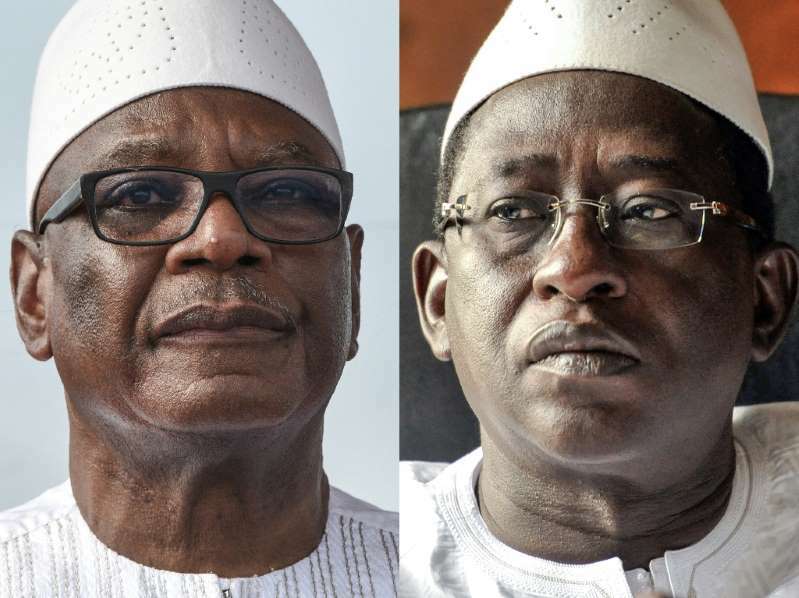 Political analyst Souleymane Drabo downplayed the risk of voter unrest, saying the country's politicians, including Cisse and Keita in past ballots, had a long history "of calling fraud at election time." "Everyone knows that the page has turned," Drabo said, adding that the most immediate issue for most people was to prepare for Tabaski, the west African name for the upcoming Islamic festival of Eid-al Adha. But Jonathan Sears, Sahel researcher at Centre Francopaix in Montreal, was more cautious, fearing that doubts about voting transparency could erode Mali's democracy. "These elections have been a lost opportunity and Cisse's insistence in interrogating the results underlines that," he told AFP. "The rejection is deeply concerning -- if Cisse is speaking for many people, there is a possibility of it being socially disruptive." The credibility of the deal -- billed by Keita as the cornerstone of peace -- has been battered by a state of emergency that heads into its fourth year in November. Keita's response to the burgeoning security crisis was the big campaign issue, with opposition candidates rounding on him for alleged incompetence or indifference. They are deployed alongside the UN's 15,000 peacekeepers and a regional G5 Sahel force, aimed at fighting the insurgents and restoring the authority of the state in the lawless north.